This rustic & charming suite featuring two french doors that open up to allow for morning sunlight or evening sunsets. Sleep under the stars! Large back deck for romantic evenings. Pathways that lead around the property. This suite is perfect for romantic getaways, proposals, romantic picnics and retreats. Events are also allowed with an approval and additional fee. The Tavern is located just 8 min from town and just minutes from multiple wineries. We offer a quiet suite for you to relax in. Stand in tile shower, sink & toilet. Super peaceful, relaxing and beautiful! Absolutely gorgeous property! Beautiful landscape with great views. Enjoyed the quiet mornings sipping coffee on the balcony and the room was ultra clean and peaceful. Stayed several days and it was just what I needed! Loved it, very charming countryside escape, had a lot of fun. We had a lovely time staying in the apartment loft, it was clean and had a huge deck that was nice to sit on while drinking wine, reading, and taking in the countryside. We welcomed the new year in the beautiful rustic tavern! 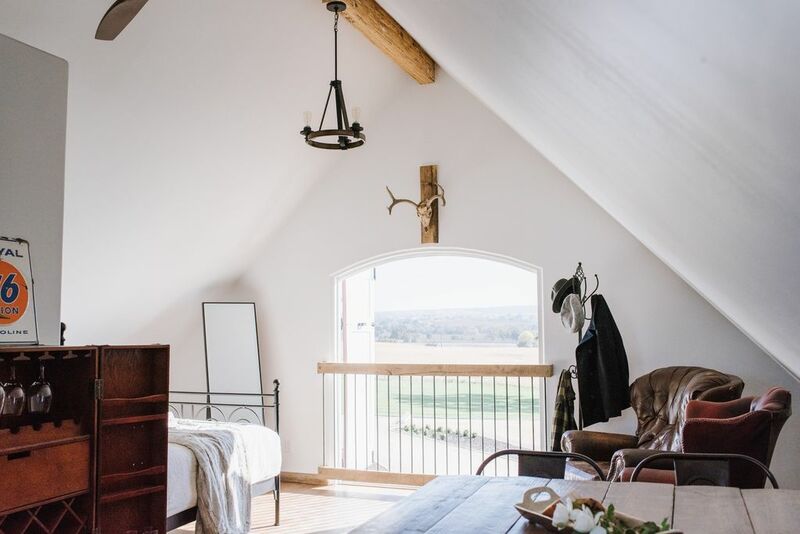 We found the place to be a perfect romantic getaway on heavenly grounds including rolling hills of vineyards which you could see from your back porch. Judy was very welcoming and accommodating to any request we had and we greatly enjoyed our stay! We would highly recommend this VRBO to any of our close friends and family. Thank you again Judy!